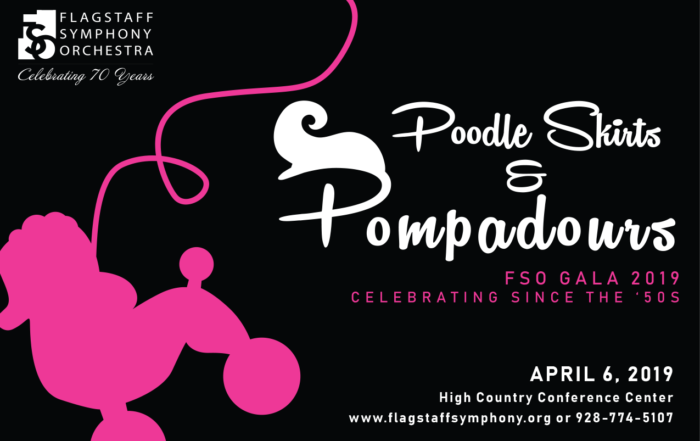 Support your local professional symphony orchestra! 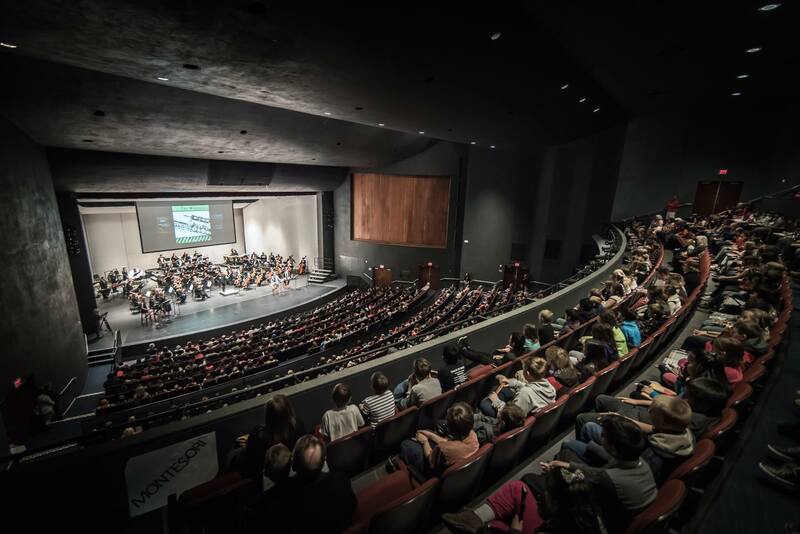 Your tax-deductible gift sustains FSO's concerts and programs. You can make a secure one-time or recurring gift online. 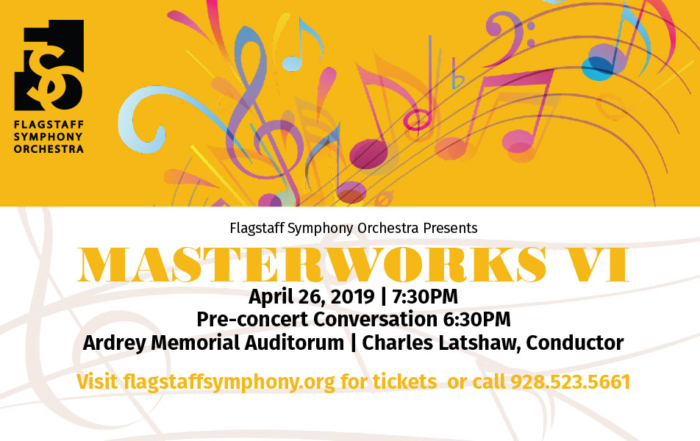 Welcome to the 69th season of Flagstaff Symphony Orchestra! 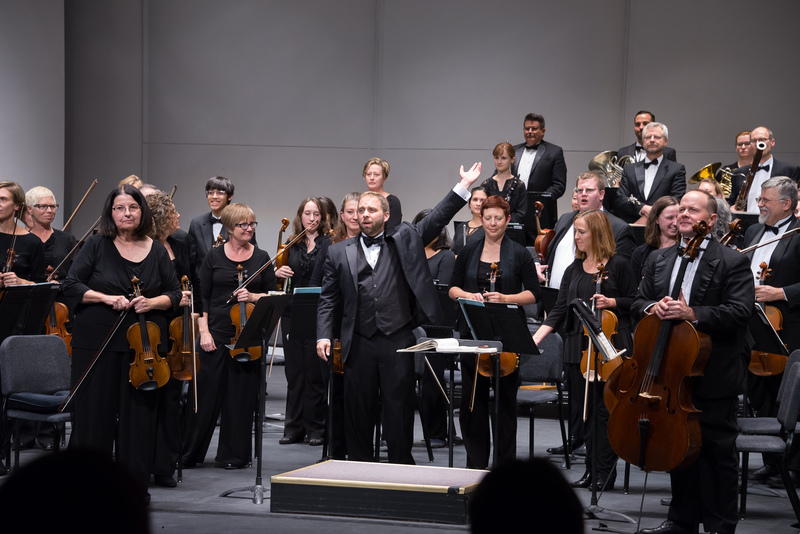 Conductor Charles Latshaw has curated a wonderfully diverse and exciting lineup for the coming year, including a tribute to Leonard Bernstein in commemoration of his 100th birthday, a Broadway Pops International show with favorite tunes from popular Broadway productions, and Brahms’s moving Symphony No. 3. He’ll also introduce us to some new music, along with well-known works by Vivaldi, Vaughan Williams and Elgar. And as always, we’ll kick off the holiday season with the beloved ballet by Tchaikovsky, The Nutcracker. 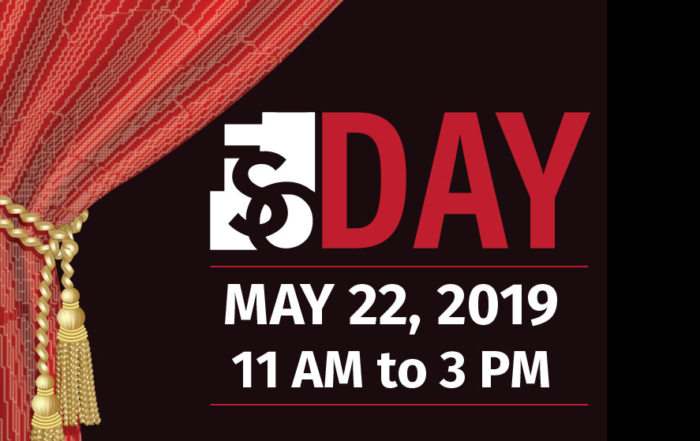 Founded in 1950, the FSO is a regional orchestra of some 65 professional musicians who perform new works as well as the best-loved classical repertoire. Now in its 69th season, it is the largest and most active nonprofit performing arts organization in northern Arizona.